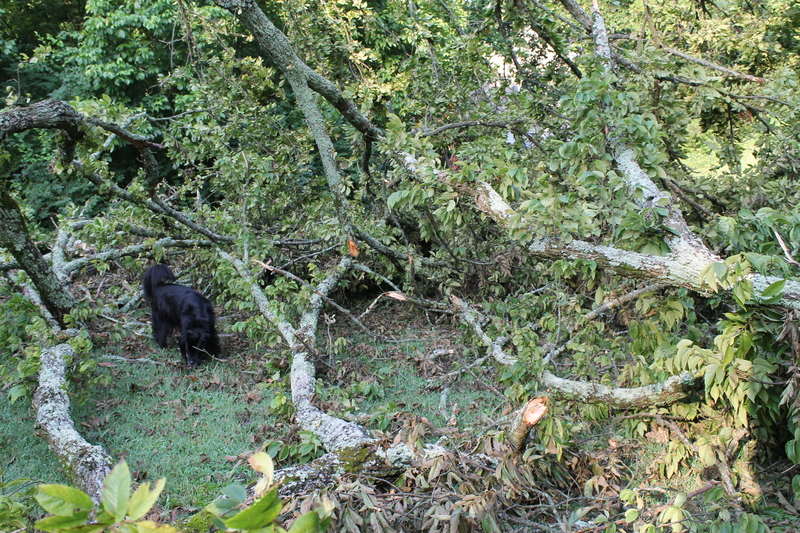 Like a parenthesis in these days of incredible heat, a thunderstorm ripped through East Tennessee on Thursday. Thousands without power in Knoxville. 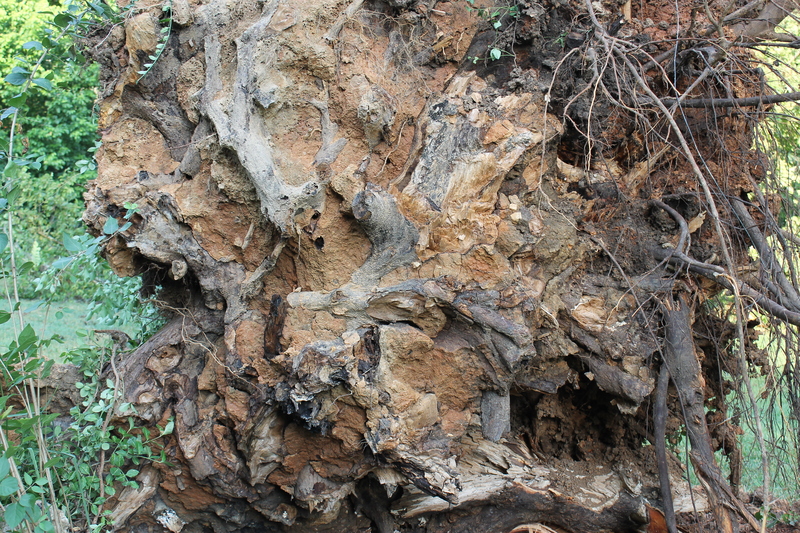 And here, local angle, a tree was ripped right out of the earth in the little park where I walk Jesse the Dog. It’s big, more than a hundred years old. And it seems such an un-rightness of things to see the underside of a tree, or a dog wandering in the branches.The rope swing Silvia loved lies on the ground. And how odd to think of all that happened since, say 1912: Prohibition, two wars, Depression, the Beatles, Obama, so very many storms, even tornadoes coming through and it was this storm, not even the worst since we moved here in 2000, this one hour or so of not even such heavy rain which did in the great old tree. I suppose the raindrops had its number, but it’s odd, isn’t it, how suddenly things end?